Grace Walburn-Jones is Molalla's 2017 Amazing Kid. She was one of 30 students honored at the annual Amazing Kid recognition event Held May 8 at OMSI. As a champion fund-raiser for cancer research, Grace Walburn-Jones is used to crowds, but having them focus their attention on her Monday afternoon was a new experience. "It's crazy," said Grace, who was selected as Mololla's 2017 Amazing Kid. "I never thought I'd be nominated. I was like, 'Whoa! Why would someone nominate me?" 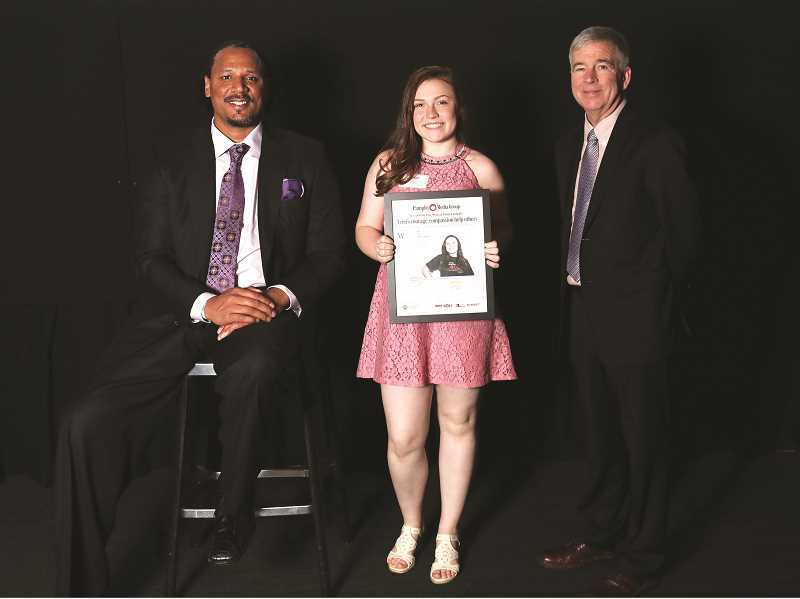 Grace was one of 30 youth honored by the Pamplin Media group after being nominated by their communities as an "Amazing Kid." The Monday event, made possible by 40 community and regional sponsors, was held at OMSI, in Portland. Molalla's Amazing Kids local sponsor is Willamette Egg Farm. Grace attended the event with her parents and grandparents. Her grandfather, Jim Palmer, couldn't help gushing a bit. "This will look great on a resume," he said, predicting his granddaughter will one day "take New York by storm." Former Trail Blazer star Brian Grant, who was diagnosed with Parkinson's Disease two years after retirement, spoke to the kids at the event. He has devoted his retirement to helping raise awareness and funding to combat the disease.